I’ve been thinking recently about new books and old, and their relationship to each other, as a practical way of thinking about publishing, writing and reading. There’s one statistic that should startle writers and publishers alike: each year, in the United Kingdom, more than one hundred thousand books are published – not including the recent deluge of e-books. How can any book possibly hope to resonate in any reader’s mind, or more importantly maybe, any potential reader’s mind, amid this word-torrent? This problem is exemplified most clearly perhaps by the decisions that booksellers must make when deciding which books to stock. While many fewer than one hundred thousand new books will be offered to each bookshop, what each must do, in the absence of rubber walls and elastic shelving, is to accommodate the books that will most interest their customer, and to be different from what others offer. A few years ago, the idea of “curation” began to seep beyond the world of museums and galleries, and into retail. It’s a useful concept for the bookseller because it reclaims the shop floor from the pushy publisher anxious to sell piles of the most recent book and hands it back to the shop. Here the bookseller-manager can create the space that represents the personality of the shop, and can organise the books to surprise, inspire and delight the browser. For a publisher the idea that a bookshop has a finite capacity is an uncomfortable one – the thought that for every new book published, another must leave the bookshop forever, becoming a sort of ghost – becoming only a digital shadow on the internet, virtually undiscoverable. A publisher might make spectres of great books, replacing them with something more fleeting still. In my experience the work-round for many publishers is simply to ignore the problem, and instead focus on the supposed brilliance of the new book, therefore immediately claiming its rightful place, ideally at the front of the shop, or in the window. There’s a quotation attributed to the 19th Century poet Samuel Rogers: “When a new book is published, read an old one.” There’s an unconscious irony associated with this – he was an important literary figure in his day, but who reads Rogers now? Still, for the publisher, pondering a book’s place in the world, it’s worth keeping his words somewhere at the back of our minds. I once knew a bookseller who had printed out the quote and Blu-Tack’d it to the wall of his office – a warning to himself perhaps, certainly a silent reproach to publishers’ sales reps.
At Little Toller, this is something we often think about. 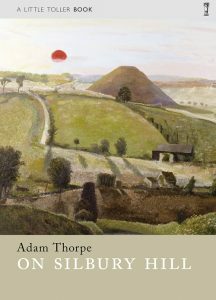 When Adrian and Gracie Cooper began the company in 2009, it was with the singular purpose of reviving the great books of our rural past for a new generation – books like Four Hedges by Clare Leighton, Edward Thomas’ The South Country and The Making of the English Landscape by W.G. Hoskins. These were not new books, but rather books pulled from the shadows to where a little light could be let in on their magic; enlivened with new introductions and striking, beautiful jackets. Bookshops and the reading public were delighted with them and the series, our Nature Classics, now numbering twenty-five titles, is the bedrock of our list. But revival can not be the only way. After all, publishers publish – part of our role is to disseminate culture: new ideas and new ways of thinking about old ideas. 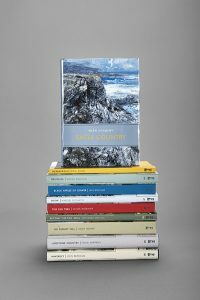 In the last few years we’ve embarked upon a series of New Nature Monographs, inviting contemporary writers to contribute to the new list. 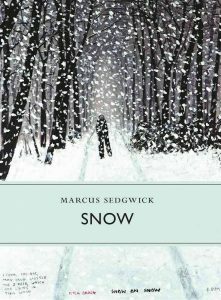 From the start, it was intended to be expansive, to wander freely beyond the confines of what has become known as New Nature Writing. This allowed us to attract great authors who were also prepared to take risks – Iain Sinclair temporarily abandoning his beloved London to revisit the Gower Peninsula of his youth for Black Apples of Gower, Fiona Sampson’s brilliant eulogy to four different landscapes in Limestone Country, Marcus Sedgwick’s examination of Snow, or Adam Thorpe’s extraordinary blend of history and memoir in On Silbury Hill. 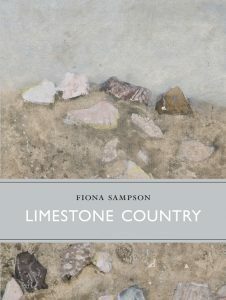 In April 2018, we’ll publish the tenth in this series, Eagle Country in which the acclaimed poet Seán Lysaght walks the coastal paths of his native County Mayo, in search of the eagles once lost and now slowly returning to this special landscape. From the outset, we conceived of these books as a series, with its own identity – and again the response has been extraordinary. Two of these titles have even been chosen as BBC Radio 4 Books of the Week. The books in these two series, the Nature Classics and New Nature Monographs share similar territories and each sprang from the mind of the same tiny editorial team, as a consequence they have a natural relationship to one another. This relationship of new books to old need not be oppositional. We live in a world of infinite, and sometimes bewildering choice, and the opportunity to buy books exists far beyond the bookshop’s finite walls – the rise of Amazon and its Kindle device means that there are many paths between the writer and the reader – and this sense of connection between the two ends of this often-alchemical relationship is made more immediate by social media. But choice is bewildering – we might devour books, but we can only read so many in a lifetime. What to read next? It’s one of the reasons that browsing a bookshop’s shelves remains crucial for many readers. This relationship between books is best seen as a dialogue between the books themselves. New books bring new ideas, but they also revise or develop ideas from older texts. If a bookseller places Helen Macdonald’s book H is for Hawk next to J. A. Baker’s The Peregrine, a conversation springs up between these books, although they were written nearly fifty years apart. 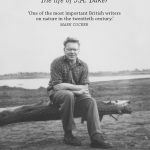 By adding our own recent biography of Baker, My House of Sky, these three books together describe not only the natural world but also how writers, often outsiders, render nature in our imaginations as something intense, vivid and visceral. 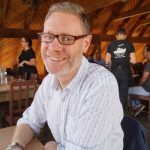 Jon Woolcott works in a freelance capacity for Little Toller Books, an independent press in Dorset, publishing non-fiction books about nature and landscape. He’s had twenty-five year’s experience within the book trade. On March 21st he’s our guest speaker at Novel Nights.